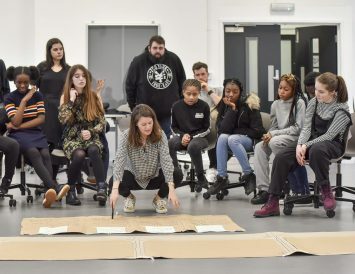 The Goldsmiths Art&Design Club worked with ENO for a series of Masterclass sessions, which started with a backstage tour of the London Coliseum. 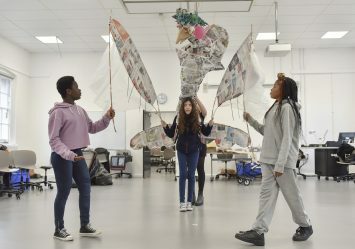 This was following by a general introduction to opera and to ENO’s production of Satyagraha. 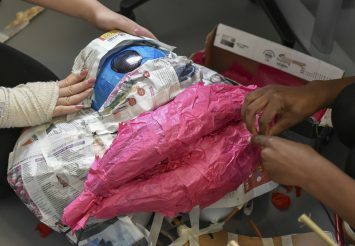 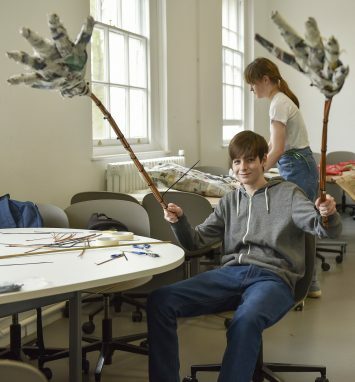 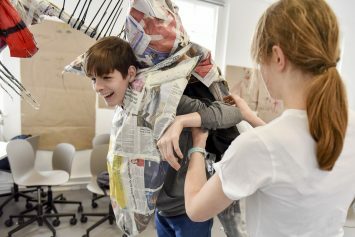 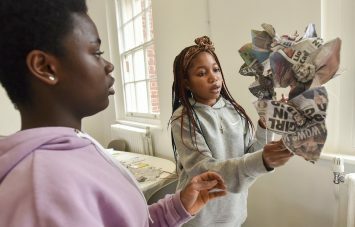 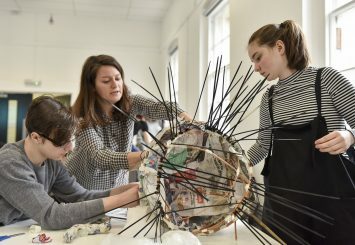 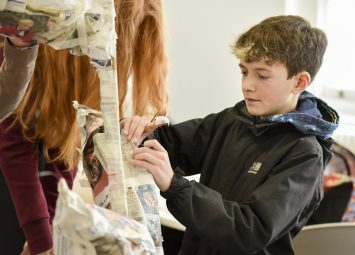 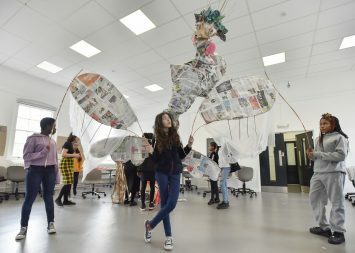 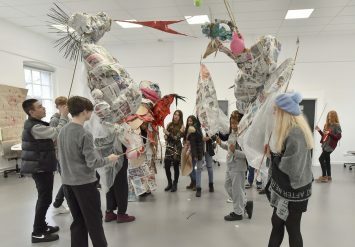 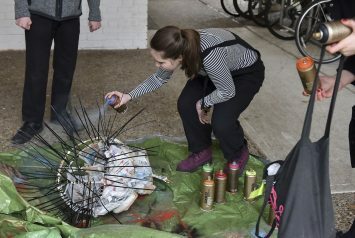 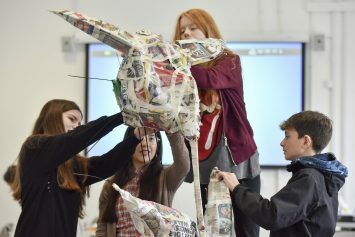 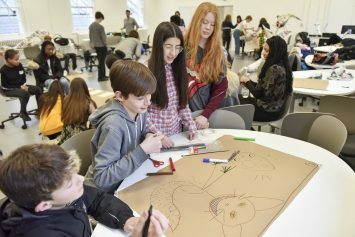 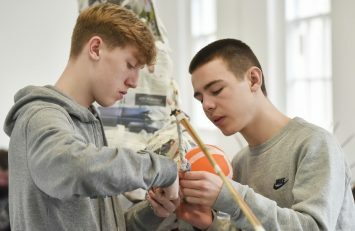 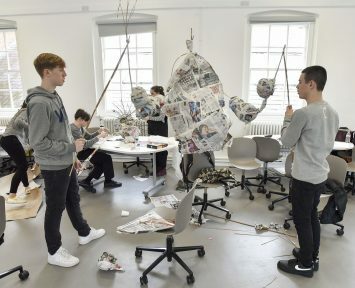 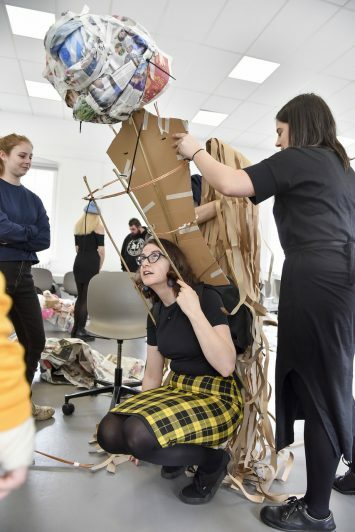 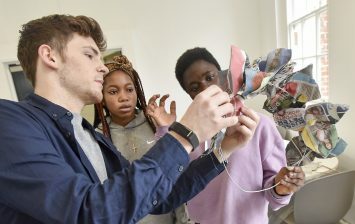 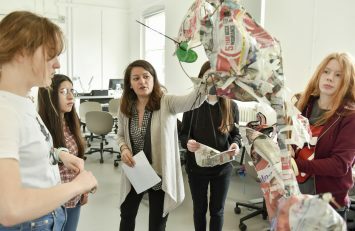 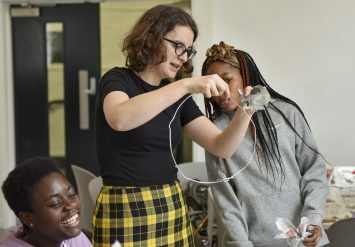 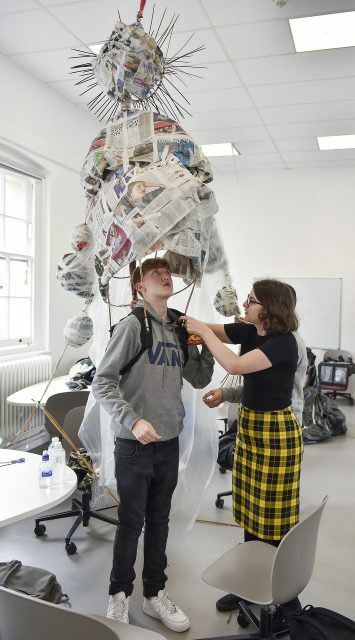 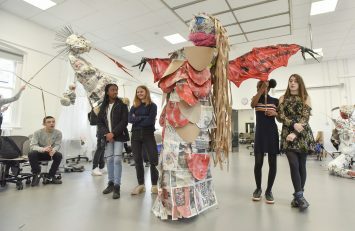 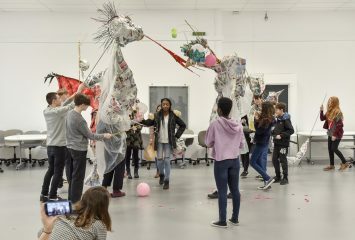 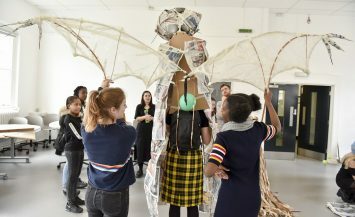 Then, over the course of four sessions led by designer Rhiannon Newman Brown, the young people designed and built four huge puppets from bamboo, newspaper, card, tape and paint. 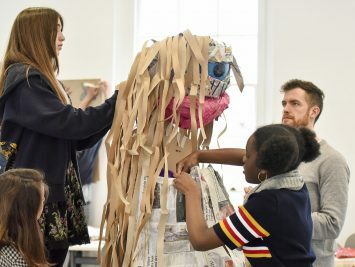 Having discussed their puppets’ characters, they developed a collaborative story, exploring ways in which words could be translated into a visual and kinetic vocabulary. 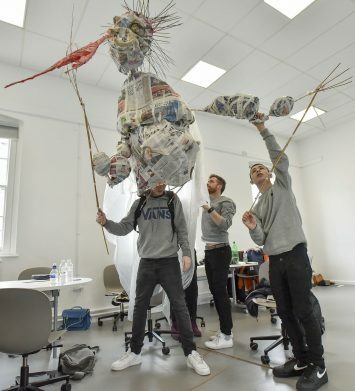 In their final session, they learned how to mobilise the puppets effectively, and gave a short performance.